Nintendo President Satoru Iwata dead at 55. Satoru Iwata at gaming conference E3 in 2008. On Sunday evening, Nintendo announced that its president, Satoru Iwata, had died at 55, 13 years after taking the reins of the prominent game company. Iwata had been battling cancer for more than a year, and Nintendo says he died of a bile duct growth. Iwata was a programmer at Nintendo affiliate HAL, where he worked on games like Earthbound (called Mother in Japan), the Super Smash Bros. series, and the Kirby series. He began working at Nintendo proper in 2000 as the company’s director and then became president in 2002. Iwata took over for longtime president Hiroshi Yamauchi and was the first Nintendo leader not related to founder Fusajiro Yamauchi. In 2013 he became the Nintendo of America CEO as well. Even as he transitioned into the business side as director of Nintendo, Iwata was always known as a brilliant programmer and participated in all different areas of the company. He had a regular interview series with developers called Iwata Asks and did broadcasts on Nintendo Direct. Iwata: [M]y actual last work on programming happened when I was working as the General Manager of Corporate Planning at Nintendo. Something happened and the GameCube version of Super Smash Bros. didn’t look like it was going to make its release date, so I sort of did a code review for it. 4GAMER: No matter how you look at it, that’s not the job of the General Manager of Corporate Planning, is it? Iwata: Yes, it isn’t really, is it? … I did the code review, fixed some bugs, read the code and fixed more bugs, read the long bug report from Nintendo, figured out where the problem was, and got people to fix those… all in all, I spent about three weeks like that. And, because of that, the game made it out on time. Iwata was known for being an unusually honest CEO, especially when Nintendo was dealing with tough times in 2013. But mostly he was known for his love of video games and desire to continually innovate. In November 2014, Iwata announced that Nintendo was going to relax its well-known intellectual property defenses to allow derivative work from fans and critics. The company also announced in March that it was moving into mobile gaming for smartphones, something it had previously resisted. 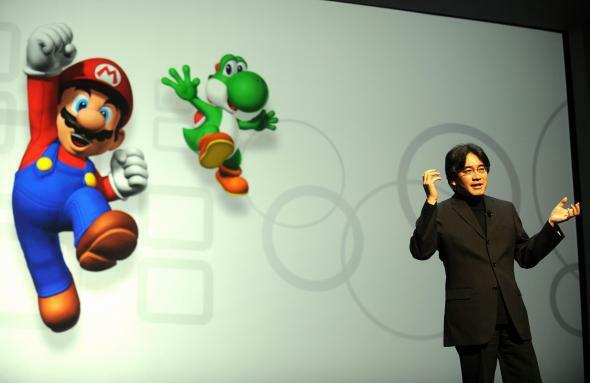 And Iwata was even eyeing the Internet of Things with Nintendo’s Quality of Life program. Last month, as the Independent points out, Iwata updated his Mii avatar to reflect his weight loss, caused by ongoing health problems. “My weight has more or less remained the same since I left the hospital and it seems as though I’ll be able to maintain this figure, so I decided to update my official Mii to reflect my present condition. Please be kind to it,” he wrote. Lately it feels like Gamergate is the dominant news coming out of the gaming community, but the pure outpouring of love and admiration for Iwata shows that sometimes people really can be kind.